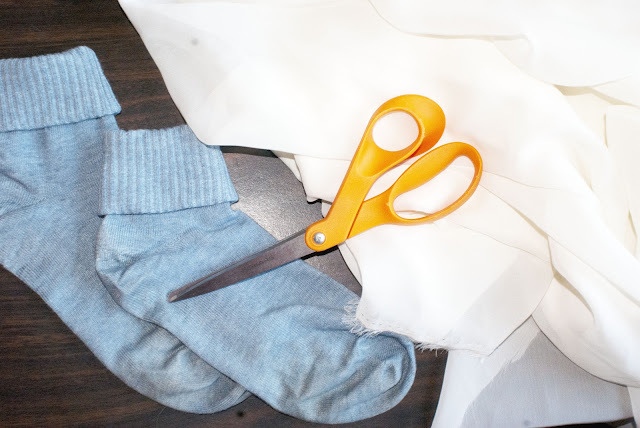 1. take your fabric of choice and cut two strips of the same size to make your bow. 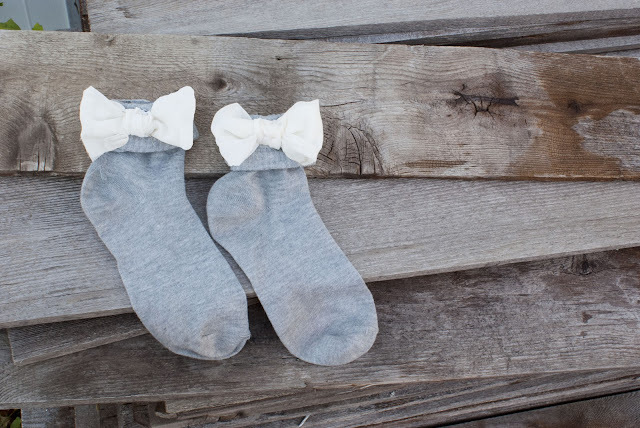 This will depend on how big you would like your bows to be. 5. 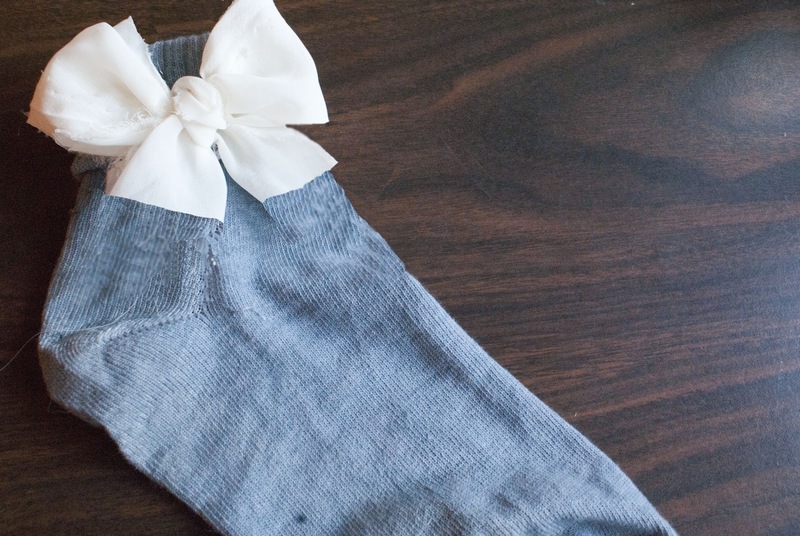 Take your bow and apply it to the back of the sock at the top of the ankle. 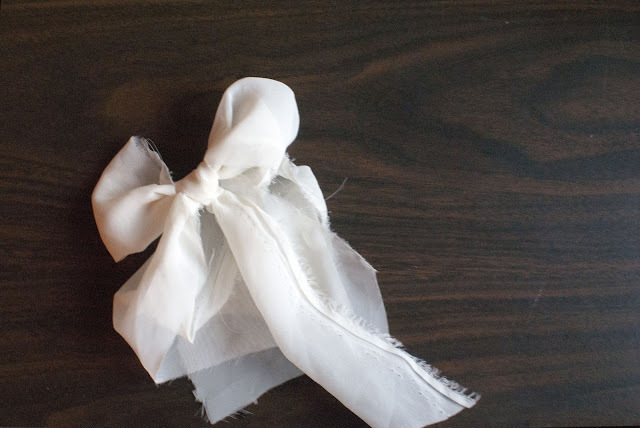 You can do this by either sewing it on, or you can also use a good fabric glue.